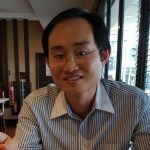 Yeo Hiap Seng (Malaysia) Berhad has recently launched three new beverages in Malaysia. 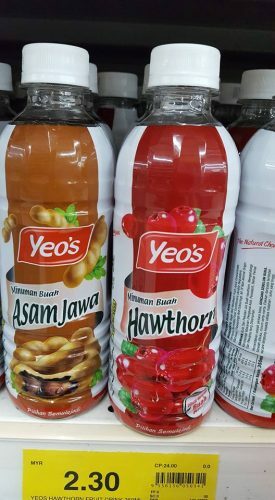 The first two are the ones saw at MIHAS 2016 – Hawthorn and Tamarind (Awam Jawa). Unlike the can version at MIHAS 2016, the two drinks are packed in PET format. The selling price is RM 2.30 (USD 0.55) per bottle (350ml). The hawthorn drink is unique as there is nothing of its kind in the market. The taste is pleasant with a hint of Ribena. 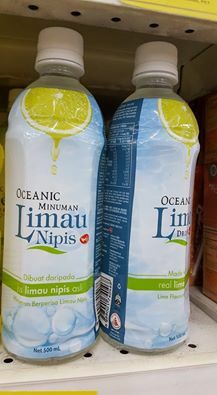 Also introduced into Malaysia around October 2016 is the Oceanic Lime Drink (Minuman Limau Nipis), which first appeared in Singapore around April 2016. 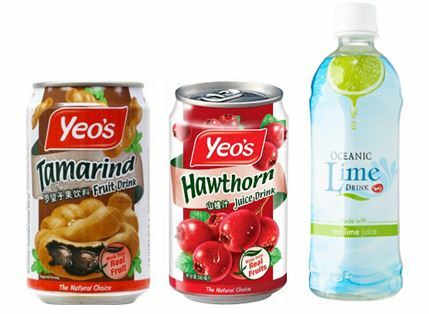 At the moment, the three new Yeo’s beverages are available at hypermarkets (Giant and Aeon Big) and not in 7-Eleven. The retail price of Oceanic Lime Drink (500ml) is RM 3.00 at Aeon Big or RM 2.80 at Giant. 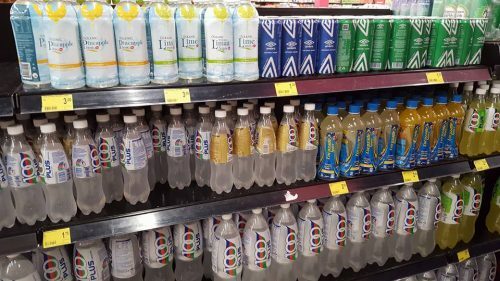 At Aeon Big (image below), the Oceanic Lime Drink is placed in the isotonic drink rack. 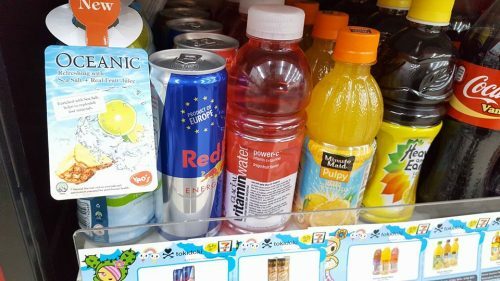 In December 2016, the Oceanic Lime Drink entered the convenience store channel – 7-Eleven (image below) and myNEWS.com.